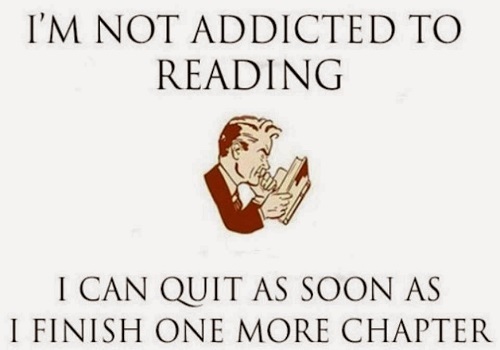 Yupp, I love reading & I there's no point in denying. In my case reading doesn't mean just grabbing whatever lies within reach - I'm very picky (& proud of that), so there's always a thorough pre-selection & research ritual involved :). Finishing a book ain't that simple either - I catalog bookmarks, excerpts, notes (for future reference) & ALWAYS write a book review (on Goodreads). This last thing is quite important, because learning something from a book is great, but sharing it with others who may be also interested is far, far better. Same idea exactly is behind this particular post - I've read a lot this year, but below you can find books I've enjoyed most - ones I can without any hesitation recommend to anyone with similar interests (split, for your convenience, into 4 categories). One last remark - full list of what I've read this year can be found here & my public Goodreads profile (with all the reviews) is here. A-must-read for every Erlang/Elixir aficionado who has already grokked platform's basics & dares for more. I've found here some stuff I haven't seen in any other book on the topic: application/modules internals, gen_fsm & gen_event details, Erlang build system "meat", etc.. It feels more like a collection of essays that present various context of architects' work (in a technology-agnostic way). These essays may not really be very revealing, but they are damn good written & (at least in my case) truly help with validating one's alignment, regarding being an architect & what does it really mean. One of the books I was literally waiting for (as it was announced some time ago). In the simplest possible words: how does Google build, deploy, monitor, and maintain some of the largest software systems in the world. Frankly, I was not 100% satisfied with the final product - it feels devoid of real insider stories & "kitchen secrets" - but it's definitely worth one's attention. Ok, it's a bit embarrassing, but I've somehow managed to postpone reading this classic until 2016. Anyway - I've finally made my homework & I'm very happy as it was a real eye-opener in some areas. It's definitely not an easy read & don't expect to be able to apply your learnings directly after the read, but it's definitely a next step to take if you're into real-life application of Lean/Kanban principles. It's a book about entrepreneurship, with a focus on leading a company. And ... it's awesome. Brutally straightforward, packed with interesting insights, "it's over" moments, hints about the most challenging moments authors has experienced (& any other CEO can experience). It would be naive to treat it as a guide that will prepare you for being a CEO (nothing will ...), but it's definitely worth reading. WTF? Book about ... slides? Did I hit my head hard recently? Not really. In fact it's a book about presenting information (of any sort) - concisely, precisely, effectively, with a clear target, in a way that sticks. Book is fully packed with tips, hints, examples, samples & all other useful remarks you can only imagine - most likely the best resource on the topic I've ever seen. What is more: not boring at all. I assume that presence of such category in this summary my be a surprise itself - I'm not a psychologist (& I won't ever be), but I'm totally hooked on the topic - IMHO being familiar with cognitive & behavioral psychology is several times more important than mastering fancy & over-hyped project management methods / frameworks / processes. (...) knowing the difference between System 1 & System 2 and understanding how they co-operate is something that can actually change your life, affect the way you're making decisions (at least to some point) & ultimately can help with getting even more conscious control over you life (however ridiculous, at the first glance, it seems). I find this one super-important for myself, because it's in perfect accordance with my ways of doing. Well, ways of doing that have actually worked perfectly & helped me get where I currently am. It's full of thoughts & values I consider ones of the most important I'd like to pass to my toddler daughter to help her with all the future challenges. Sounds serious? Because I really treat it so. If "Grit" is one side of the coin, this is the other one. The former is about the way to strive for being successful, the latter is about the goal to be aiming for, about making it rewarding & the journey itself - insatiable. However ridiculous it may sound, this book has helped me to understand better the essence of what makes me happy, fulfilled, what drives me long-term & on the daily basis as well. Not the most sophisticated fantasy book every, but it has sucked me in completely - whole series are a real page-turner that grabs you & shakes around violently like some utterly crazy roller-coaster. Additionally, setting is very interesting (mix of Napoleonic era with fantasy) & enriched with unique (truly original) magic system. That's all for now. For now, as 2017 is already rolling & so is queue of next books to read. But what about you? Did you read anything exceptional this year? Anything you can honestly & wholeheartedly recommend to anyone? Feel free to slap it in the comments below - thank you in advance. Developer Apprenticeship: the way to sustain an organic growth?